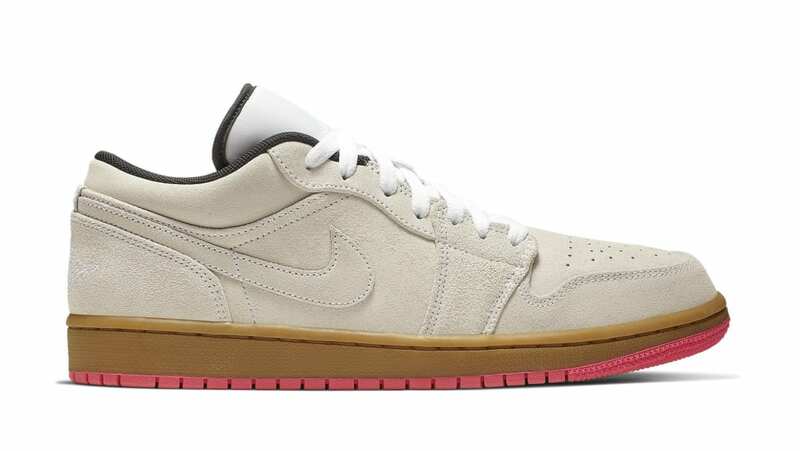 This iteration of the Air Jordan 1 Low will don a tonal beige suede upper with a white tongue and black inning. Capping off the look is a brown midsole and a vibrant pink outsole underneath. Release date is Apr. 1, 2019 at a retail price of $95.